Zid Zid Kids‘ fresh greenÂ crocodile cushion was one of the first things I bought for Alfie’s nursery and provided some inspiration for the birds and beasts theme. 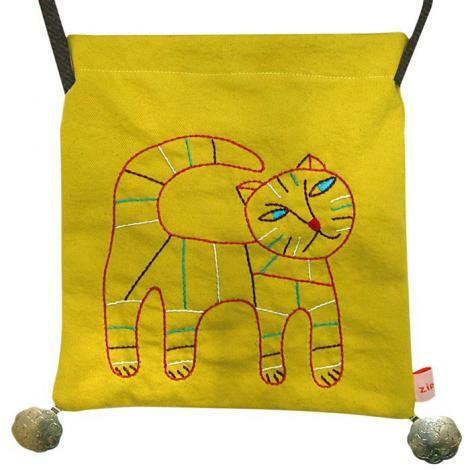 Founded in 2002 by Moulay Essakalli and Julie Klear, the Marrakech-based company’s tagline is ‘handmade modern for kids’ which pretty much makes it the perfect fit for BG! 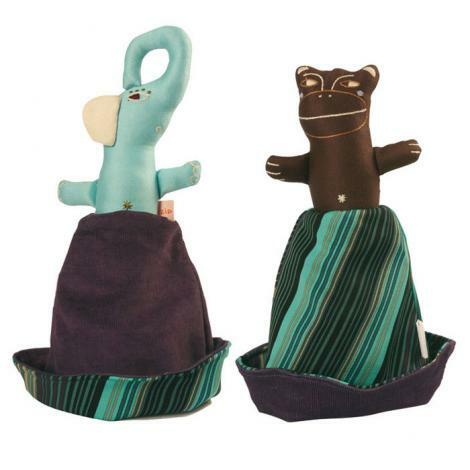 Add to that a keen eye for design, impeccable eco and ethical credentials (fair trade, recycled, chemical-free fabrics, local artisan techniques… I could go on) and the cutest animal characters known to man and it’s not hard to see why they can’t stop picking up awards at every turn. 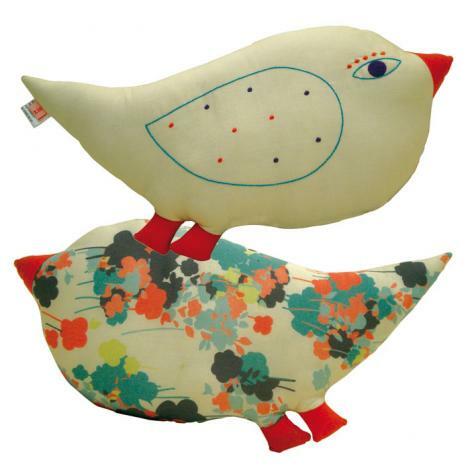 As well as their gorgeous embroidered animal cushions, we love the reversible folktale dolls, $48 (great gift alert) and colourful wall panels, $138, guaranteed to inject a bit of fun into tidying up. Meanwhile, kids won’t be able to resist the super-cool bags and backpacks, from $34, and the glam dressing upÂ masks and capes, from $11.80 to $68, that we featured on BG back in November. We’ve been promised a spring collection soon, so we’ll keep you up to date with new products. Zid Zid now sell online with free shipping to the UK and lots of fab sale items, which goes a long way to explaining why Alfie’s crocodile now has lion, camel, elephant and monkey friends in his book nook lair.